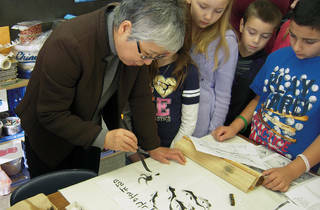 Discover Korea's past and present through a family-friendly celebration of the country's unique art, music and dance. 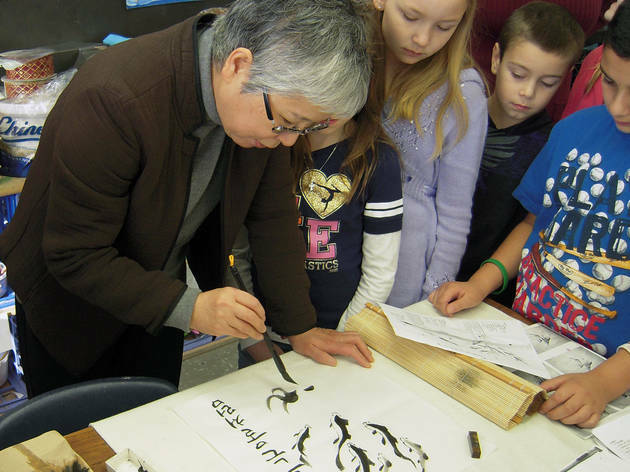 Learn the technique of joomchi—felting and collages—with master hanji paper artist Aimee Lee, try your hand at calligraphy and brush painting, play Korean games and hunker down to listen to storytelling by Maria Yoon. Families can check out a variety of cultural performances throughout the day as well: experience traditional pansori—story singing—also referred to as Korean opera, and dynamic performances by the Vongku Pak Korean Drum and Dance Troupe (12pm), the Korean Traditional Music and Dance Institute of New York (3pm) and I LOVE DANCE, a K-Pop dance group (3:30pm). Don't miss the world premiere of a modern ballet exploring Korean-American identity created with support from Juilliard (4pm). All ages.